Architecture in Uniform: Designing and Building for the Second World War is part of our continuing effort, at the Canadian Centre for Architecture, to critically investigate both the premises of contemporary culture and society and the assumptions underlying the design fields and how they relate to the natural and built environment. The study of these themes via exhibitions and books has expanded our field of vision, as we work within the neglected “gray zones” of the discipline. Architecture in Uniform draws on the curatorial expertise of Jean-Louis Cohen to explore the consequences of the Second World War on the built environment and to reveal architects’ responsibility for the destruction and annihilation as well as for the rebuilding that followed. Harry S. Truman’s inaugural address, in 1949, prefaced one of the 20th century’s major transformations: the world’s shift from a system of production to a system of global consumption. After half a century of world wars, Truman foresaw that the global middle class was ready to be “liberated” through the production — and implicit consumption — of “more food, more clothing, more materials for housing and more mechanical power.” 1 His campaign for scientific and technical progress captivated the public’s attention and pocketbooks while shifting aesthetic sensibilities as citizens readied themselves for the “good life.” Modern architecture followed the manufacturing industry in switching from producing and distributing the means of warfare to offering peace-time commodities to consumers. Camouflage design is one of several new fields that emerged from the world wars which Cohen examines in Architecture in Uniform. In this excerpt from the exhibition text, and in the accompanying slideshow, Cohen highlights architects’ role in advancing the art and science of camouflage. During the Second World War, architects almost completely supplanted painters in the field of camouflage. Studies into the technique had continued uninterrupted since 1918, and camouflage departments now occupied an important place in all the armed forces. … In Great Britain, the Air Ministry set up a Directorate of Camouflage, under the direction of Captain L. M. Glasson, in 1938. Its principal task was to prepare camouflage for the most exposed industrial targets. Quartered in 1939 at Leamington Spa under the auspices of the Ministry of Home Security, the team consisted primarily of artists and sculptors. Physicists were added to strengthen the scientific component of the projects; 7 advanced experiments were conducted in an ingenious “vision chamber,” making it possible to study the various proposals under different lighting conditions, as well as in a “moonlight vision chamber” for nocturnal views. There were individual initiatives, as well. In London, the architect Ernö Goldfinger added a private “industrial camouflage unit” to his office at 7 Bedford Square. He became the technical advisor to a team of four Surrealist painters — Bill Hayter, Roland Penrose, Julian Trevelyan and John Buckland Wright — and used a heliometer to study the effect of natural lighting on buildings. Given the lack of commissions — the main one was the Imperial Tobacco cigarette factory in Bristol — the principal results of this cooperation were, on a practical level, the charming Home Guard Manual of Camouflage, illustrated by Penrose, who had become an instructor at the War Office School for Instructors to the Home Guard, 8 and at a more theoretical level, the analyses of Trevelyan on “The Technique of Camouflage,” which would be published by The Architectural Review in a special issue in 1944. Places Journal is Supported by Readers Like You. Architecture in Uniform was on exhibit at the Canadian Centre for Architecture from April 13 through September 18, 2011. The texts presented here by Mirko Zardini and Jean-Louis Cohen are adapted from Architecture in Uniform: Designing and Building for the Second World War, published by the Canadian Centre for Architecture and Hazan Editions, Paris, 2011. We are grateful to CCA senior web editor Lev Bratishenko for assistance in preparing this feature for publication. Harry S. Truman, inaugural address, 20 January 1949, in My Fellow Americans: Presidential Inaugural Addresses, from George Washington to Barack Obama (Florida: Red and Black, 2009), 296. See “The Interplay of Institutions” and “Troubled Futures,” Architecture in Uniform. See “Professions and States” and “Figures and Forms,” Architecture in Uniform. Richard Neutra’s expression as quoted by Jean-Louis Cohen in “Recycling, Recalling, Forgetting,” Architecture in Uniform. Albert Roskam, “Dazzle Painting: arte come camuffamento, camuffamento come arte,” Casabella, no. 557 (May 1989), 24–26. Gertrude Stein, Picasso (London: B. T. Batsford, 1938), 11. Guy Hartcup, Camouflage: A History of Concealment and Deception in War (Newton Abbott, London and Vancouver: David and Charles, 1979), 51ff. Henrietta Gooden, Camouflage and Art: Design for Deception in World War 2 (London: Unicorn Press, 2007), 22–23. Roland Penrose, Home Guard Manual of Camouflage (London: George Routledge & Sons,1941). Julian Trevelyan, “The Technique of Camouflage,” The Architectural Review, vol. 96, no. 573 (September 1944), 68–70. Homer Saint-Gaudens, “Camouflage and Art,” Art Bulletin, vol. 2, no. 1 (September 1919), 26, cited by Roy R. Behrens, Camoupedia: A Compendium on Art, Architecture, and Camouflage (Dysart, Iowa: Bobolink Books, 2009), 30. École Nationale Supérieure des Beaux-Arts, Paris, architecture student drawings, LAB 96–99. Percy Johnson-Marshall Archives, University of Edinburgh. Louis I. Kahn Collection, University of Pennsylvania, Folder 030.II.A.68.16. See Andrew Shanken, “The Uncharted Kahn: The Visuality of Planning and Promotion in the 1930’s and 1940’s,” Art Bulletin, vol. 88, no. 2 (2006), 310–27. See the documents held at the Princeton University Library, Jean Labatut Papers, 1915–1983, subseries 3D. See Jorge Otero-Pailos, Architecture’s Historical Turn: Phenomenology and the Rise of the Postmodern (Minneapolis: University of Minnesota Press, 2010), 27–32. The Architectural Forum, vol. 77, no. 3 (September 1942), 194. “L’aménagement du port de Marseille,” L’Architecture d’aujourd’hui, vol. 11, no. 3–4 (1940), 16–17. Davide Deriu, “Between Veiling and Unveiling: Modern Camouflage and the City as a Theater of War,” in Endangered Cities: Military Power and Urban Societies in the Era of the World Wars, ed. Marcus Funck and Roger Chickering (Boston: Brill Academic Publishers, 2004), 15–34. An artist in the era of urban renewal thinks through what it might mean to fully collaborate with local communities. Contemporary Jakarta is a megalopolis of monuments and mosques, towers and malls — spires and gyres. It is also a fiercely insistent projection of Indonesian independence. What makes a building glamorous? A review of the latest book by architectural historian Alice Friedman. Comments are closed. If you would like to share your thoughts about this article, or anything else on Places Journal, visit our Facebook page or send us a message on Twitter. From the excerpt provided, this show seems a bit critically "bloodless". I know this is a historical survey, but the language comes across as a bit too casual and breathless in its enthusiasm. It's good fun to remark on camouflage techniques and their capacity to reconfigure perception etc., but this topic, and this historical moment, demand a more pointedly critical and blunt assessment of the “strategic indispensability” of architects to war. What was the consequence of an explicitly architectural approach, and capacity for organizing, when unfettered by (presumably un-aesthetic) concerns of morality or politics? The Axis powers indeed "traced(ed) out the outlines of a future based on oppression and sometimes extermination," but the ability of Albert Speer to prolong the war and the accompanying suffering and genocide was due in no small part to the “technical knowledge and competence” he possessed as an architect. If “even in uniform, (architects) did not interrupt their own thinking processes” it’s a lasting indictment of our profession. If anything architecture and architects need to position themselves explicitly against war and the elements in society who promote and profit from it, regardless of the technical goodies and formal possibilities that project promises. In this respect Eisenhower might prove a more relevant source for quotations than Truman. Mirko Zardini is the Director and Chief Curator of the Canadian Centre for Architecture. Jean-Louis Cohen is the Sheldon H. Solow Chair in the History of Architecture at New York University’s Institute of Fine Arts. 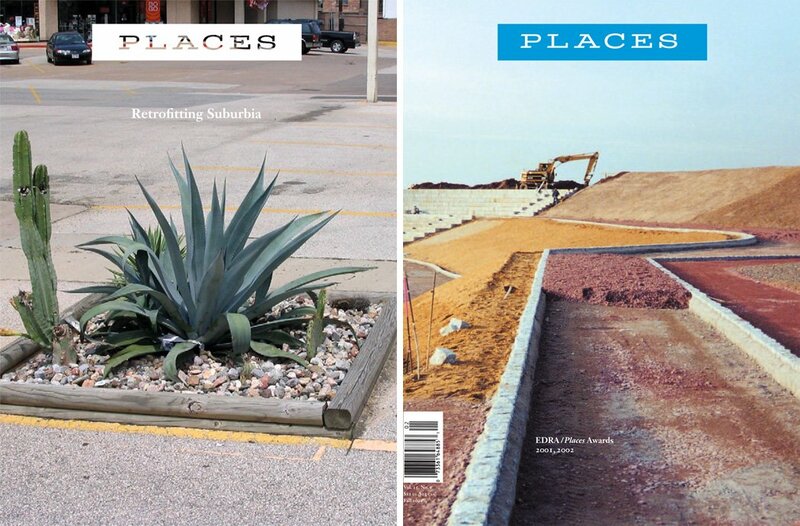 Read more on Places from books published by the CCA.